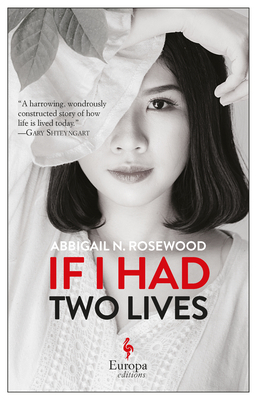 Join us at Book Culture on 112th on Monday, April 29th at 7pm as we welcome Abbigail Rosewood to discuss her first novel, If I Had Two Lives. Columbia Professor Alan Ziegler will be her interlocutor for this event. This luminous debut novel follows a young woman from her childhood in Vietnam to her life as an immigrant in the United States - and her necessary return to her homeland. As a young adult in New York, cut off from her native country and haunted by the scars of her youth, she is still in search of a home. She falls in love with a married woman who is the image of her childhood friend, and follows strangers because they remind her of her soldier. When tragedy arises, she must return to Vietnam to confront the memories of her youth - and recover her identity. Abbigail N. Rosewood holds a Master of Fine Arts in Fiction from Columbia University. In 2012, she was the recipient of the Michael Baughman Fiction Award and the Outstanding Graduating Student in Creative Writing Award from Southern Oregon University. Her works have been published in literary journals online and in print, including The Adirondack Review, Columbia Journal, Green Hills Literary Lantern, and The Missing Slate. An excerpt from her first novel If I Had Two Lives was awarded First Place in the Writers’ Workshop of Asheville Literary Fiction contest. Abbigail was born in Vietnam, where she lived until the age of twelve. She currently lives in New York. Alan Ziegler’s books include Love At First Sight: An Alan Ziegler Reader; The Swan Song of Vaudeville: Tales and Takes; and The Writing Workshop Note Book. He is the editor of Short: An International Anthology of 500 Years of Short-Short Stories, Prose Poems, Brief Essays, and Other Short Prose Forms (Persea Books), and his work has appeared in such places as The New Yorker, The Paris Review, and Tin House. He is Professor of Writing at Columbia University’s School of the Arts, where he received the Presidential Award for Outstanding Teaching. He is currently at work on Based on a True Life: A Memoir of Sorts, and his work appears regularly at blog.bestamericanpoetry.com.